The fight against breast cancer is not one-dimensional. 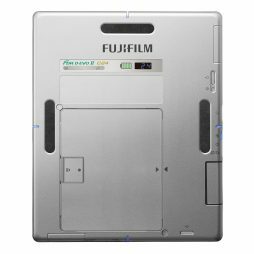 At Fujifilm, we are committed to doing our part, at every opportunity, to deliver value through imaging innovation. ASPIRE Cristalle with Digital Breast Tomosynthesis (DBT) is built smarter because it is built with insight into image quality, operational excellence, and a better patient experience. For premium image quality, Fujifilm offers our exclusive dual side reading technology in both the ClearView-CS and the ClearView-1. Big on power. Big on image quality. 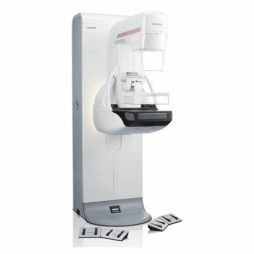 The FCR XL-2 is ideal for fast-paced practices. 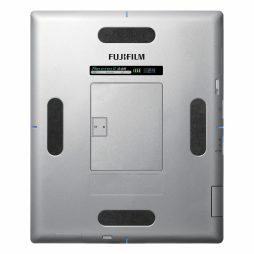 It can process up to 94 images in an hour and every study exhibits Fujifilm’s extraordinary diagnostic image quality. 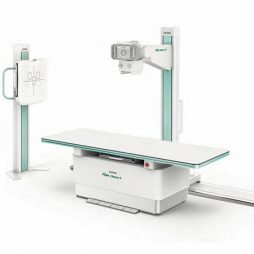 The FCR XL-2 is capable of producing high resolution, 50-micron scans for 18 x 24 cm and 24 x 30 cm sizes. It’s ideal for orthopedic, extremity, any exam where seeing fine detail is critical. 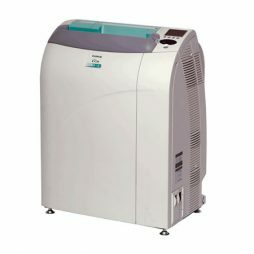 The FCR XL-2 is just 32″ high and has a footprint of less than 2.5 square feet, so it fits in any exam room or remote office. Heavy-duty throughput, impressive image quality, the FCR XL-2 has it all, does it all – from anywhere. Simplify your everyday mobile imaging with the FDR AQRO, a complete mini-digital x-ray system that combines the high sensitivity of Fujifilm's D-EVO II detectors and our refined image processing advancements to generate high resolution images with low patient dose. 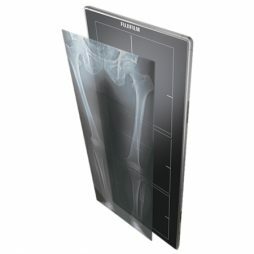 Fujifilm is proud to announce our latest high-quality, cost-effective x-ray solution. The FDR Clinica Series of Components deliver a user-friendly, smart workflow for busy imaging professionals. The FDR Clinica Series of Components have all the advanced features you need to enhance workflow and improve the patient experience. A wide variety of exams can be performed using the optional tilting wall stand. Nonambulatory patients can be easily imaged in the seated position. 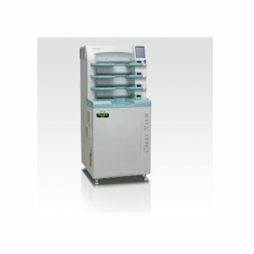 Both top- and center-reference rotation are available in our rotating tray, with automatic connection to the detector. The detector can be rotated while mounted in the tray with no need to remove and remount, greatly reducing handling. The detector cable and connector are built into the tray, enabling the detectors to be automatically connected when set in the tray. This new function greatly improves efficiency and provides a clean look with no need to manage cabling. The automatic connection to the detector keeps the battery charged in the event that wireless operation is required. 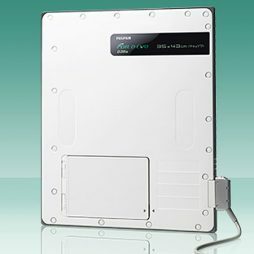 The FDR D-EVO II 14×17″ (C35) CsI flat panel x-ray detector is well-suited for environments where low dosage is critical. It combines Fujifilm’s Irradiated Side Sampling (ISS) technology with the inherent dose-lowering and image-sharpening properties of cesium. 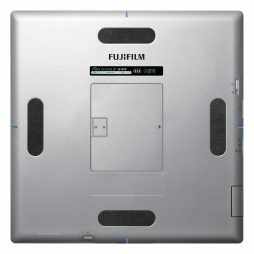 The FDR D-EVO II 17×17″ (C43) CsI digital x-ray detector combines Fujifilm's Irradiated Side Sampling (ISS) technology with the inherent dose-lowering and image-sharpening properties of cesium. With a maximized field of view, conventionally only available with high-end, fixed detector systems, the 17×17″ CsI is ideal for chest and other wide field of view exams, and is especially helpful for large patients where a balance of low dose and excellent detail are critical. 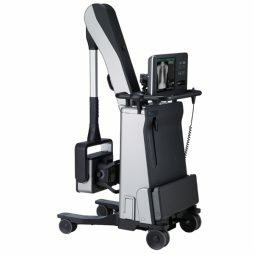 FDR D-EVO II's rapid preview and cycle times help improve radiography exam efficiency and simplify patient positioning. FDR D-EVO II is perfect for busy environments, such as ED, trauma and wherever quick image availability is critical. FDR D-EVO II's high sharpness and DQE make fine details and hairline fractures more visible, and help to reduce retakes due to positioning cutoff. Small anatomy, small dose: no problem! At only 1/2″ thick and just 3.3 lbs, Fujifilm's 24x30cm CsI (C24) digital x-ray detector is just right for small patients and small anatomy such as extremities, shoulders, C-spines and more. The small size of this DR detector makes it a perfect fit for the NICU and neonatal isolette trays. Ultra-light weight makes it much easier for patients to safely hold for sunrise knee exams. FDR D-EVO II offers increased image sharpness and dose efficiency with new noise reduction circuitry. DQE and MTF are as much as 20% higher compared to traditional DR capture circuitry designs, making them the ideal solution for low dose exams and dose-lowering initiatives.